London Rathayatra 2017 is confirmed for Sunday the 18th June. The procession route follows the usual path from Hyde Park, South Carriage Drive, along Piccadilly, down Haymarket and into Trafalgar Square. Rathayatra UK website is run and maintained by the London Rathayatra Festival Committee on behalf of ISKCON London. 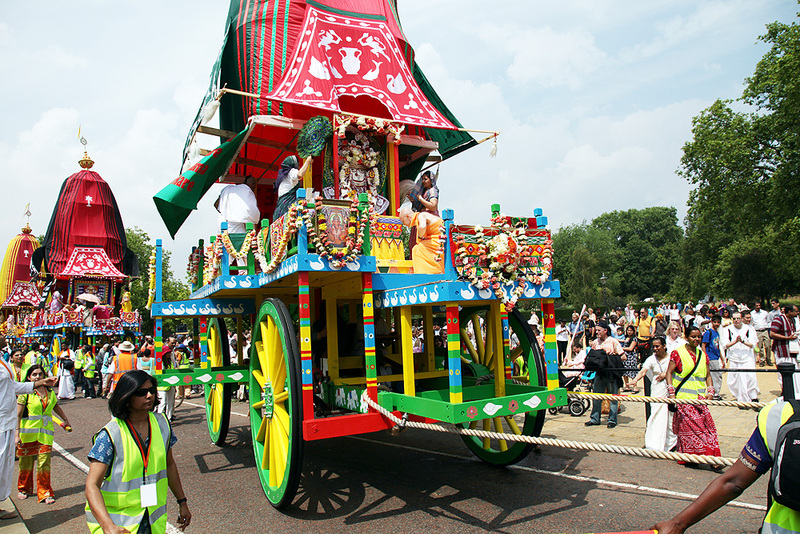 Contact Rathayatra via email info@rathayatra.co.uk. More dates added as we get them. Sung by HG Gaurangi Devi Dasi.